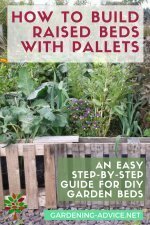 Is it better to use a weed barrier in a garden bed, or mulch to keep down weeds? Fabric Weed Barrier Or Mulch? 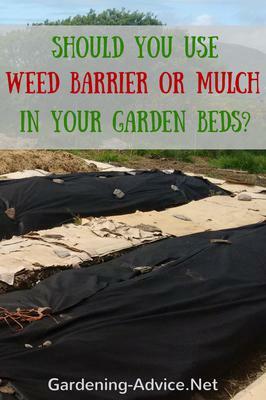 Is it better to use a weed barrier in a flower bed, or mulch to keep down weeds? We live in southeastern Nebraska. There is no definite answer to this. I personally don't like the fabric weed barrier as weed control in flower beds for various reasons. I know though that for many people it might be the best solution. Spreading plants like ground cover e.g. Geraniums, Campanula, Aubretia or Ajugas are restricted in their growth. They just can't do their thing and keep spreading along the ground. The soil tends to get hard underneath the weed fabric. Feeding plants is difficult. You have to lift the fabric to do that. Moving or transplanting is difficult. If not watched carefully plants can get choked as they grow. You have to keep cutting the fabric to prevent that. Needs to be covered with stones, pebbeles or bark mulch. It is difficult to keep the fabric covered on slopes. The stones or mulch slides down and exposes the fabric. Bigger, crushed or broken stones (not round pebbeles!) are better for covering on slopes. Watering on slopes with the weed fabric is nearly impossible. Hardly any weed growth in the beginning. Although with the years you get some growth because of decaying plant debris on the fabric. 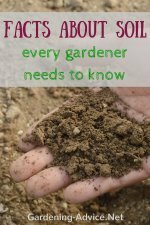 Soil does not dry out as quickly. Moisture is preserved in the ground. An organic mulch like bark is always the more natural way to prevent weeds. Remember that in nature soil is never uncovered. You either have plant growth or a cover of organic matter like leaves. The soil is never bare and if it is it is never for long! Weeds will start to grow very quickly on bare soil. My recommendation would be to use an organic mulch for a flower bed. Have the bed weed free and cover it with bark mulch about 4 inches deep. Top up the bark once a year. You will have a very fertile soil, few weeds and happy plants. Moisture is also well conserved in the ground and because of the decaying organic matter your soil will improve over time. An alternative to that would be to use a biodegradable paper mulch sheet. This will break down after a season. You can lightly cover it with bark mulch for the looks. 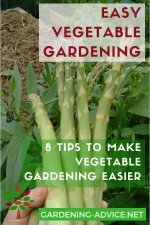 This will reduce the amount of bark you will need for covering the soil. The following season the plants should be doing the task of covering the ground and keeping the weeds down. You can top up the mulch if needed. If you plan to grow mainly shrubs and are not really a keen gardener use the weed barrier cloth. Make sure that the bed is well raked and smooth. Cover it with the weed barrier and peg it down. Cut a cross into the fabric where you want to plant. This way you can fold it back around the base of the plant after planting. It also makes it easy to give the plant more room by cutting more of the fabric later on. Yeah, I do agree with the point author has shared about the usage of weed barriers. The main issue that I have noticed is that it always tend to choke the growth of the plant and it is a hard part to feed the plants. I have a tenant who just laid down a roll of tyvek on a 16 by 15 foot area, then covered the tyvek with much. I had recently removed a concrete patio from this area per city codes as I was over the impervious surface ratio for my property. He dcid not ask my permission to do this and when i told him that the tyvek defeats the purpose of removing the concrete, he lied & said he had put holes in it every 6 inches so the water would drain into the ground below. What do you think the tyvek & mulch will do to this area? Join in and write your own page! It's easy to do. How? 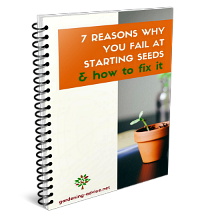 Simply click here to return to Gardening Problems FAQs.